The press continues to cover the story of children coming across the southwestern US border without documents, although the ebola scare and ISIS have pushed the story from the front pages. The newest statistics on the flow of children are out. US Customs and Border Protection reports that in the year ended September 30, 2014 there were detentions of 68,541 children aged 17 and under who crossed the border unaccompanied by a parent or relative. This compared to 38,759 the year before. Since the dissolution of the gang truce, assassinations of police and military personnel and clashes between gangs and security forces have changed the security equation in El Salvador, closing any small window left to revive the short-lived and highly criticized ceasefire. As of October 17, the violence had left 31 policemen and various military personnel dead in 2014, including six police in October alone. The victims range from low- to high-ranking members of the security forces and are spread across a wide geographic area. This gives the impression that they were not pre-selected or targeted, but rather were killed when the opportunity presented itself, or following security force disputes with local gang factions. Each year in El Salvador, the rainy season brings the problem of mosquito-borne illnesses. This year, in addition to dengue fever, mosquitoes have brought the Chikungunya virus for the first time. This diseases which originated in Africa arrived for the first time in the Americas in 2013. El Salvador's health ministry is reporting that the number of cases of Chikungunya has finally stabilized after increasing steadily since May of this year. The country has reported some 59,000 suspected cases of the mosquito-borne disease since the virus first appeared in El Salvador in 2014. Symptoms of the disease include a high fever and severe joint pain which can become chronic. The 1992 Peace Accords brought an end to twelve long bloody years of civil war in El Salvador. Yet the original signed document had not been in the possession of the government. Former president Alfredo Cristiani has been keeping the original signed document at his house for the past 20 years. Today he returned the historic document to the government. And in the picture above we see Cristiani, the former ARENA president who governed during the last years of the war, delivering the Peace Accords to current president Salvador Sanchez Ceren, the former commander in the FMLN guerrilla army. Both Cristiani and Sanchez Ceren were among the original signers of the accords in 1992. A magnitude-7.3 earthquake struck off the coast of El Salvador and Nicaragua late on Monday and was felt across Central America, killing at least one person. There were no immediate reports of major damage. El Salvador’s emergency services said a dozen homes in the department of Usulutan had been slightly damaged but that coastal areas appeared calm and the country’s international airport was unaffected. Wilfredo Salgado, mayor of the city of San Miguel in El Salvador, tweeted to say that a man was killed when an electricity post fell on him. “It felt really powerful, suddenly the whole house started to move,” said Xiomara Amaya, 30, who lives in Usulutan. El Salvador's president from 1999-2004 was Francisco Flores. During his presidency, two killer earthquakes hit El Salvador in early 2001 killing hundreds and leaving thousands homeless. 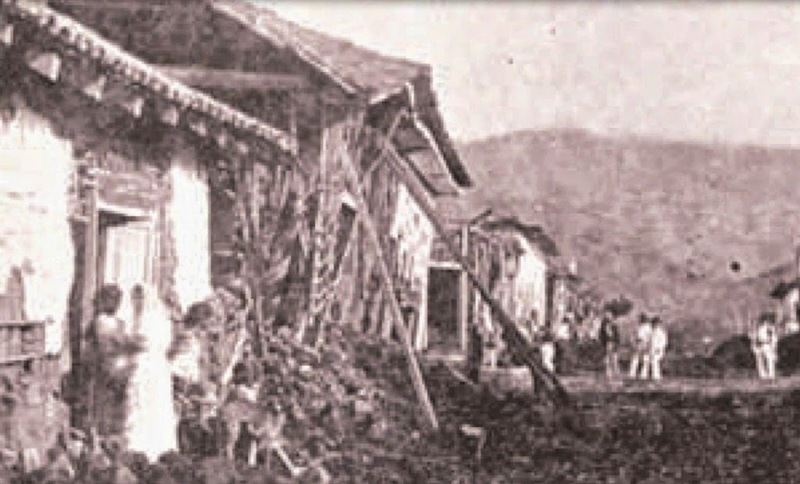 As the country worked to re-build following those quakes, the government of Taiwan delivered $10 million to Flores, with the purported explanation that it was intended for the victims of the earthquakes. Incumbent San Salvador mayor Norman Quijano has decided to withdraw from running for a third term. Quijano, from the right wing ARENA party, was the party's presidential candidate earlier this year and lost in the second round of the presidential elections by a scant six thousand votes. He has been the mayor of San Salvador since 2009. In the announcement of his decision on Wednesday, Quijano simply stated that everything had its own cycle and it was time to close this cycle of his life. ARENA party officials announced that Quijano would be one of the party's candidates in the 2015 elections for deputies in the National Assembly. Former president Mauricio Funes speculated that Quijano must have been forced out of the race by ARENA party "oligarchy", and that the oligarchs wanted someone who would protect their particular interests. The Constitutional Chamber of El Salvador's Supreme Court continues to issue rulings impacting the respective rights of voters and political parties in the country. On October 1 the Constitutional Chamber ruled that deputies elected to the National Assembly under the banner of one party could not defect to form another party. They can declare themselves independent, but they may not adopt another party affiliation. The ruling stemmed from a group of dissident ARENA deputies who had formed themselves into a new grouping "United for El Salvador." The court found that these party defections violated voter's rights to choose deputies belonging to a political party and ideology. If deputies could be elected under the banner of one party and then shortly afterwards defect to another, the will of the voters could be thwarted. Deputies must not defect to another party until the next election when they are free to change alliances. Passionate social worker, government go-between or gangster priest? When Spanish priest Father Antonio Rodriguez (Padre Toño) pled guilty to influence peddling and bringing contraband into prisons one month ago today, it surprised many of his followers. The plea, in return for a suspended sentence, was yet another strange turn in the so-called "truce" begun in 2012 with El Salvador's notorious gangs.